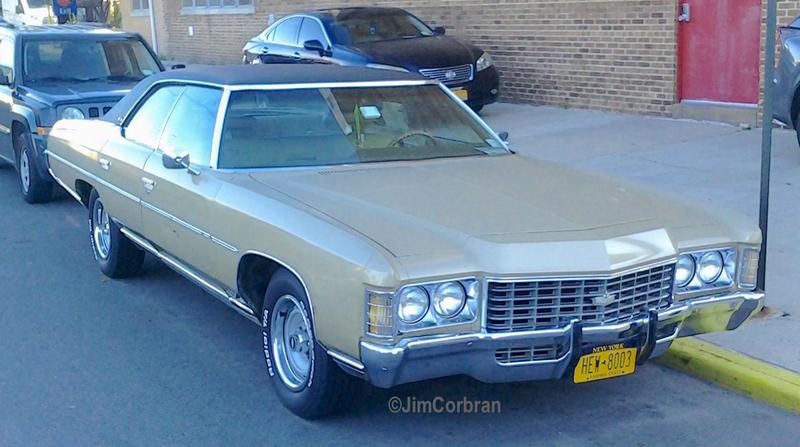 Here’s another edition of RealRides of WNY on the Road, as we caught sight of this 1971 Chevy Caprice during last summer’s Stephen Siller Tunnel To Towers 5K Run & Walk, which started in Brooklyn near the fire station in Red Hook, went through the Brooklyn Battery Tunnel, and ended at the World Trade Center. We were honored to be there as part of the video crew. The Caprice was Chevy’s veddy-nice answer to Ford’s LTD — both nameplates sprouted up for the 1965 model year and were instant hits.